Ireland’s favourite department store, McElhinneys in Ballybofey have launched a fabulous new website dedicated to showcasing the very best in bridal and occassionwear. 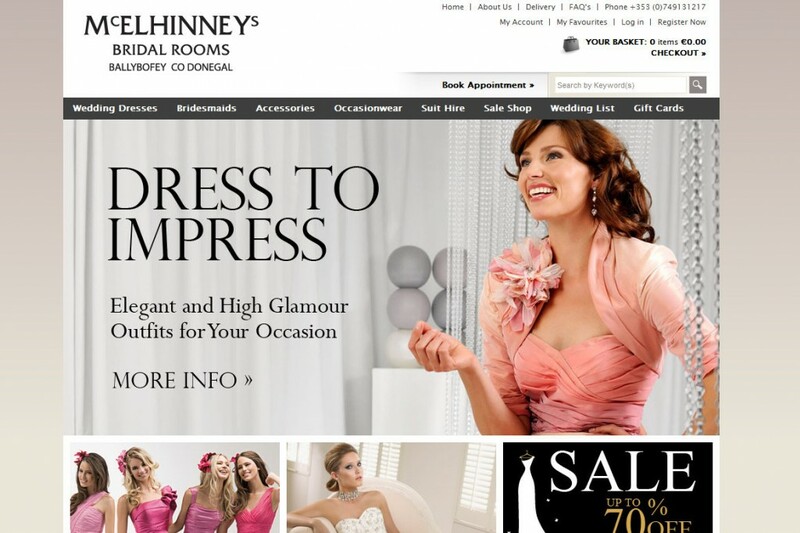 Easy to navigate, www.mcelhinneysbridalrooms.com is divided into sections including wedding dresses, bridesmaids, accessories, occassionwear and suit hire. Within each section you’ll find all your favourite designers and a colourful gallery of their latest designs. From here you can make an appointment, post an enquiry or make a list of your favourite dresses. There’s even a sale shop featuring wedding gowns with up to 70% off!